Setanta board in crisis talks to save company and suspends new subscriptions | What Hi-Fi? It's urging customers not to cancel direct debits or recurring payments on credit cards. 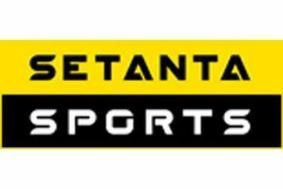 "As has widely been reported in various media channels, the management of Setanta Sports is in the process of attempting to secure the future of the business," the company says. "The company has not gone into administration. All our channels are still broadcasting across all platforms." "However, in the current circumstances we have decided to suspend temporarily the acceptance of new subscriptions." The Setanta board remains in crisis talks to try and avoid putting the company into administration, as we reported yesterday. According to the Media Guardian, board members were locked in emergency talks last night to discuss a last-ditch financial package put together by the joint founders, Michael O'Rourke and Leonard Ryan. ESPN, the US sports network owned by Disney, is still regarded as the most likely buyer for Setanta's two packages of 46 live Premier League games for the 2009-2010 season. Alternatively, BSkyB could also buy one of the packages of 23 matches for next season. BT Vision says that while Setanta is still available in its packages and as a stand-alone channel, it's no longer advertising the service.